This book is as much about paying respects as it is about forging ahead—an ideal combination for a debut collection. The author adds grains of literary wisdom to accompany her own brand, which is more of the homegrown variety. 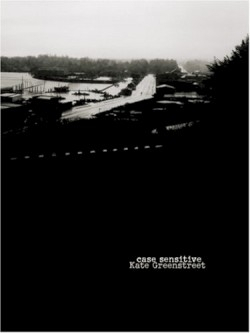 She essentially christens her own canon, ranging from Osip Mandelstam to Lorine Niedecker to Mark Kurlansky, author of Salt: A World History, whom she cites often in her section appropriately titled “[Salt].” This collection of poems is pastiche without the tongue-in-cheek tone usually expected from that genre. Indeed, while Greenstreet uses a large number of quotations, they all seem lovingly inserted. Although the “you” of these poems is never identified, the addressee is familiar. The poet reveals just enough to lead her readers through what could easily be disorienting pieces. Greenstreet holds steady to her claim that “A story has to leave out nearly everything or nobody can follow it.” The poet places her faith in what is gained from experiences including experiences of reading) rather than the experiences themselves. While the speaker of these poems may be wary of such inevitable tumbles in life, the poet is unafraid of failure. In fact, part of the pleasure of reading them is their unpredictability. The other part of the pleasure is their careful execution regardless of unruly subject matters: “You have to fight the idea it should be / cleaner, easier, natural.” And Greenstreet does just that.